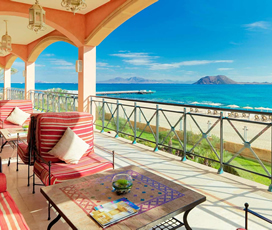 "The stunning island of Fuerteventura is renowned for its stunning beaches and is the perfect short-haul break for families and couples alike... "
Fuerteventura is the second largest of the Canary Islands and is situated around 100 kilometres of the north African Coast. It is famous for its gorgeous white-sand beaches, which provide access to the sparkling blue waters of the Atlantic Ocean. The island rises up as it moves inland creating craggy cliffs and sheltered coves that only enhance the quality of its beaches. Its capital, Puerto del Rosario, is situated in the eastern part of the island and it has a population of more than 100,000. With its warm Mediterranean climate, it features warm summers and mild winters, great for those seeking a beach holiday. 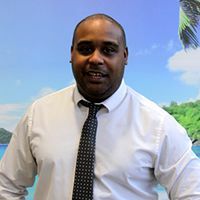 The hottest month of the year is August, when temperatures average 25 degrees, although they generally sit above 20 degrees from April to late-October, making it an excellent all-year-round holiday destination. The coolest month is January, when the temperature averages an eminently pleasant 18 degrees. The best month for swimming is August when sea temperatures can reach as high as 22 degrees. The island is the oldest of the Canary Islands, having been created around 30 million years ago, when massive volcanic eruptions spewed molten lava into the Atlantic. It is believed to have been first inhabited by a tribe known as the Majoreros, who are believed to be related to the Berbers of North Africa. It was settled by the Europeans in the early 15th century, by Spanish Conquistadors, whose leader, named Bethencourt, gave his name to the original capital. By the 18th century it was ruled by the ‘Coroneles’ a group of military leaders, who treated the island like their own private fiefdom. It officially joined Spain in 1912 and has been a part of the country ever since. With its unique culinary history, it is a blend of Spanish and North African flavours. One absolute mist is majorero, a salty cheese made with goat’s milk that is often infused with spices and herbs for extra flavour. Along with gorgeous ‘Verdial’ Olive Oil, which is rich, thick, golden and native to the island. Mojo Picon is a spicy local sauce made with oil, vinegar, paprika and garlic, which can be drizzled on pretty much anything, but is especially good on papas arrugas a local form of potatoes that are cooked in seawater. Fuerteventura, like most islands, is excellent for fish with parrot fish and gilt head bream especially popular, while the locals also cook goat and beef very well. Featuring a great range of family activities, the younger members of the clan are sure to enjoy joining in with the family. Foremost of these are its many beautiful beaches, with the shallow waters of the horseshoe-shaped Costa Caleta Beach especially good for family holidays, who want a place for their children to play safely. Young wildlife enthusiasts are bound to enjoy seeing the seals at Los Lobos, where visitors can gaze from the green hills over the beaches populated by hundreds of seals. The Oasis Park Zoo is home to an incredible range of species, including elephants, zebras and crocodiles making it ideal for families who want a fun and educational day out. The island is the ideal place for those who want a relaxing beach holiday in the hot summer sun, especially as the entire island is renowned for the quality of its beautiful beaches. Beaches to note include, the Sotavento Beach, in Costa Calm, which is renowned for the range of watersports that it offers and playa chica, which lies just off the capital. The centre of the island is dominated by nature reserves and no visit to it would be complete without seeing some of the incredible greenery that the volcanic landscape has created. Visitors could also try riding a camel, which used to be the primary mode of transport on the island, but is no largely reserved for visitors. The best area for nightlife is Corralejo, with the Centro Comercial Atlantico the place to go if you want to find discos, clubs or live music venues. There are plenty of British-style pubs elsewhere on the strip, while the Avenida area is the place to go if you are seeking something, more relaxed. Other places of note on the island, include Caleta de Fuste, where entertainment can be found on the main Avenida, along with Morro Jable, where there are clubs and bars dotted around. As the smallest of the Canary Islands, Fuerteventura is not especially renowned for its shopping, tending towards small local shops, rather than big shopping centres. The best place to go are: Calle Leon y Castillo, Calle Juan de Betancourt and Calle Virgen de la Peña, in the capital Puerto Del Rosario, a maze of streets with plenty of hidden shops just off them. There is also a shopping centre called Las Rotondas in the capital, where visitors can find more than 100 internationally recognisable shops. Corralejo is also good for shopping, with the Avenida Nuestra and Senora del Carmen the best streets for shopping and the El Campanario shopping centre also worth a visit. The island’s capital is an up and coming tourist destination; a great place for wining and dining as well as shopping. This is the stand-out resort that many travellers like to visit. It’s always been popular with British tourist and has a great mix of gorgeous beaches, lively bars and upscale restaurants, all with an authentic Spanish town appeal. 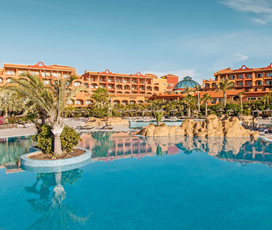 Costa Calma is another popular resort destination in Fuerteventura and it’s best known for its wonderful beaches (all of which are family friendly) plus its lively nightlife spots. 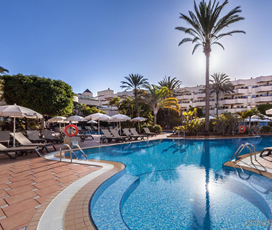 The beaches in Caleta de Fuste are suitable for all ages and the area is also well known for its golfing, shopping centres and restaurants. The pretty village of of Cofete is a great place to get slightly off the beaten track. The beaches are untouched and you may even get the opportunity to spot turtles along the coastline.